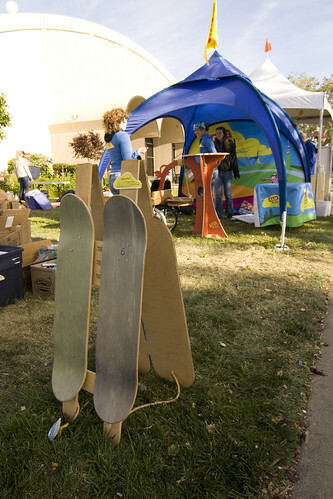 If you went to Maker Faire in San Mateo, CA last weekend, you know it was awesome.This year we did not do Art Golf, and thus actually had time to walk around and check out the faire first hand! It was really cool to see some stuff that we had made years ago still in use and going strong. 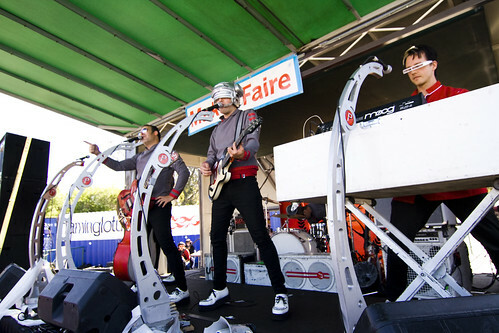 The mic stands that the Phenomenauts use, we made about 3 years ago, and they still look great! ClifBar was there with a booth for their kids brand snack bars. We had made them a booth with lots of components about 2 years ago, and there it was! In full use and loved by the kids! 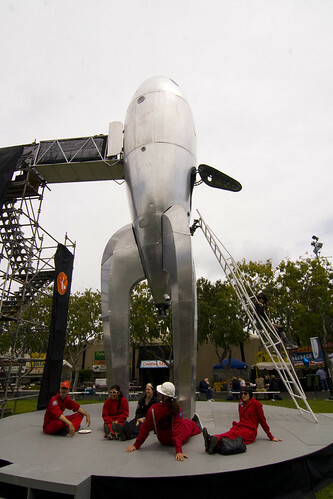 Then, of course, some good friends of ours over here in West Oakland brought their Rocket Ship. An amazing piece of design and fabrication, with its own website! See more photos from this years Maker Faire here. There will be Maker Faires in New York and Detroit this year. As well as several "mini-maker faires" all over the country. Check out the website for more details. And get yourself to one of these if you can!